Capture the shot with the Rear-facing 13 megapixel camera with Wide Aperture of f/1.8 to take sharper night-shots. Perfect your beauty game with the 8 megapixel front camera, with one-click beautification and screen circular light compensation. Enjoy HDR mode for sharper backlight photos with excellent picture quality. Audio quality is incredible thanks to High-volume speaker with powerful bass sound and rich medium-frequency sound. Enjoy the highest screen-to-body ratio in the Honor range with the Honor 8A. Featuring a 6.09" Dewdrop Display with with a high screen-to-body ratio of 87% to give a superior visual experience. TÜV Rheinland-certified display with customised eye comfort mode to better protect eyes by effectively filtering blue light. 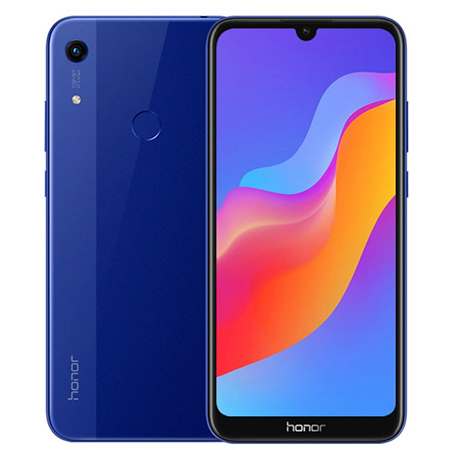 The Honor 8A offers innovative, and trendsetting style with New Intertwined Grained Texture body design. Stay secure with face unlock and rear-facing fingerprint identification, with the fastest recognition speed. 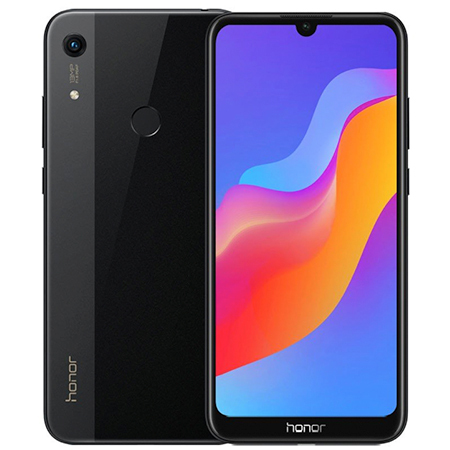 The Honor 8A supports dual nano-SIM cards and a Micro SD card with an expandable storage up to 512GB. A smart system of EMUI 9.0 runs seamlessly with SmartPower management and full screen gestures-make operation more convenient. Android 9 and EMUI 9.0 offers you high end entertainment, while a big 3020mAh battery to easily allow all-day use.